Do you feel drained out after listening to grievances of friends or relatives ? Do you tire of being with certain people for no apparent reason? Do you feel easily agitated with people whom you come into contact often? If your answer is “Yes” to those questions, you may have ties/cords attached to these people and they could be sapping your energy or disturbing your energy/auric field. These ties are often not seen by normal vision. However to a clairvoyant or someone whose third eye is ‘active’, the said person can see these ties in the form of ‘energetic strings’ . 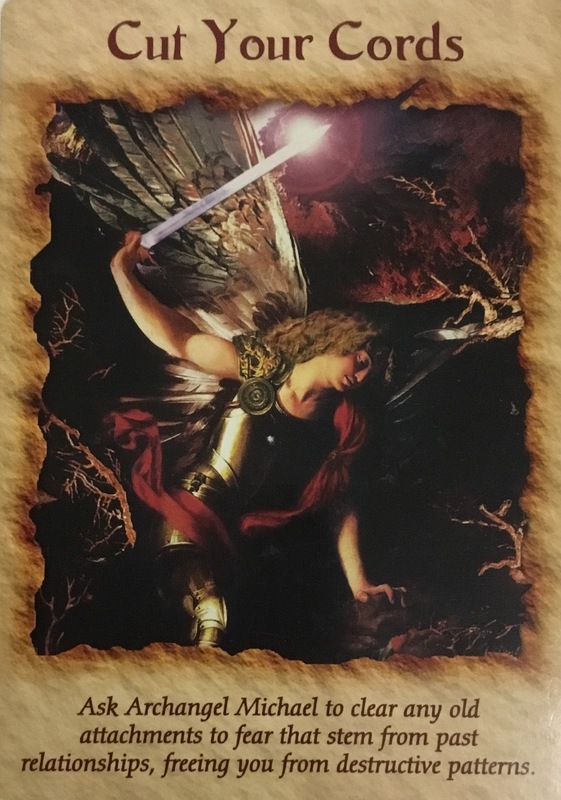 In my healing practice (Reiki) , it is not uncommon for Archangel Michael to inform me that there are such ties attached to my clients, that need to be cut. However, at this juncture I need to clarify that we are not suggesting to people to end their relationship with others. Instead, it is the energetic cords that need to be cut and Archangel Michael is adept at doing that. All one needs to do is just to call upon that divine being for assistance. Usually at the aforementioned stage, clairvoyants would see a huge sword in energy form slicing such ties/cords. The sword would be the sword that Archangel Michael uses. Although it is admirable for us to help others or to lend a listening ear, sometimes such ties could be created during such an interaction , especially when the other party (e.g. spouse, employer, friend, etc) seems to be too reliant on us. As we do not desire our energy to be sapped by others, it may be prudent to ask for such angelic help periodically.